Abstract: The quantitative approach in investment has been the key trend in asset management industries for the last few decades. Asset managers have developed quantitative models for return prediction, risk assessment, and portfolio construction typically with hypothesis-driven approaches. It is worth noting that quantitative investment has not been interacting in a meaningful manner with its non-quant counterpart, i.e., a fundamental approach relying on a qualitative analysis by human beings. Evolution of AI and data science not only reinforce the emphasis on the quantitative approach, it also changes the way the industry sees the world and approaches. For example, a combination of quant and fundamental, namely quantamental becomes a hot topic. There is much more emphasis on data-driven approach, which was typically considered to be a bad practice. However, there are many challenges and naïve application of AI techniques typically fails. We are more successful in some fields than others depending on the nature of problems. In this overview, I will first describe how and where AI and Data Science can be applied to quantitative investment and their future potentials. The emphasis is on the framework rather than a specific investment strategy. We start with the brief description of traditional framework and their limitation. Then we see how AI and Data Science can improve and enhance the capacity. Then we move on to the discussion on difficulties and challenges in applying AI and Data Science to investment and how we should approach. There are technical aspects and social aspects in the difficulties we face. On a technical side, we cover a few stylized facts about market data and theories developed in financial engineering, which is key for the effective implementation of AI to quant investment. Bio: Kazuhiro Shimbo serves as MAI’s Chief Investment Officer. He is responsible for overseeing all aspects of the firm’s quantitative investment programs including the research process, portfolio management, execution and risk management. 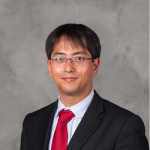 Mr. Shimbo manages MAI’s quantitative investment team. Mr. Shimbo joined MAI at its inception as the Head of Risk Management. In that role, he was instrumental in the development and improvement of the firm’s quantitative models and technological infrastructure. Prior to joining MAI, Mr. Shimbo was employed at the Industrial Bank of Japan (IBJ) for over seven years. For the last three years of his tenure at IBJ, Mr. Shimbo served as Quantitative Researcher and then Portfolio Manager at the bank’s derivatives market making desk. Mr. Shimbo earned his Ph.D. in Applied Probability from the School of Operations Research and Information Engineering at Cornell University. He also holds a M.Sc in Financial Economics from the University of London and a B.S. in Physics from Kyoto University in Japan.